With the ASRock Phantom Gaming X Radeon RX 590 8G OC graphics card you get a great overall package! AMD has given the RX 590 a rewarding refresh of the RX580 and ASRock has created a powerful, quiet and visually appealing package with its cooler design. Especially we liked the quiet fans and that ASRock uses the backplate for cooling. The software is clear and all necessary functions are quick and easy to find. However, we would like for one of the next versions to be able to overclock the RAM even higher, as the RX 590 benefited the most of it in our OC test. The price is also – typical for AMD graphics cards – very fair, so that you can build a solid 1080p PC with a low budget. In addition, you only need the cheaper FreeSync or Adaptive-Sync monitors for AMD graphics cards, where we have just shown based on our nVidia G-Sync with FreeSync monitor tutorial that it is now also partially achieved with nVidia G-Sync. 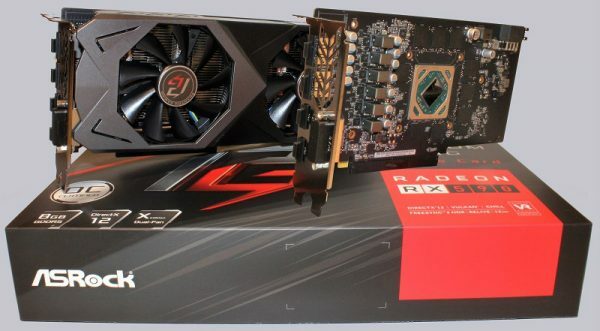 With this excellent overall result, the ASRock Phantom Gaming X Radeon RX 590 8G OC graphics card receives our OCinside.de Purchase Tip Award 02/2019.